The Liberal Democrats have prevented the House of Commons from debating the Medical Innovation Bill. The Bill is on the order paper for Second Reading on 6th March 2015 – but with so many Bills on the list there will never be time for MPs to have a debate. The Government had found time for a full debate. The debate would not have been whipped – meaning MPs could vote according to their own preference. It would have been truly democratic. However, the Liberal Democrat leadership had the right to veto debate, under the terms of the coalition agreement set up when the Tories and Lib Dems joined forces in 2010 to form a government. And veto it he did – meaning the there will now be no debate on the Medical Innovation Bill in the House of Commons. This veto is of concern on two levels. The Bill sought to provide clarity and certainty for patients and doctors at the point of treatment, by setting clear statutory criteria for responsible and irresponsible innovation. It would have ended the present litigation lottery, according to which you only find out whether treatment was responsible by setting up opposing teams of medical witnesses in expensive and protracted litigation after the fact. And it would have paved the way for the establishment of a ground-breaking register of innovation results, allowing positive and negative results of new treatments to be shared, pointing the way to new full clinical trials, and reducing the appalling number of wasted lives. The blocking of the Bill is therefore a medical calamity; but there is also a constitutional issue. The Bill was the subject of a Written Ministerial Statement approving the fundamental policy, a Government public consultation, and four full debating stages in the House of Lords. The patient safeguard provisions were amended by the Medical Director of the NHS at the request of the Secretary of State for Health. Other medical and legal peers tabled amendments which were accepted into the Bill. The degree of cross-party scrutiny and consensus was unparalleled for a private peer’s Bill, reflecting the extreme importance of its subject matter. The Conservative front-bench, with Labour co-operation, found a way to allow the Bill to be debated in the House of Commons; by vetoing that, and refusing to allow the issue even to be debated, the Liberal Democrats have shown utter contempt for the House of Lords, and a total disregard for the right of Members of Parliament to debate matters of crucial importance to their constituents. The passing of the Medical Innovation Bill, with any additional safeguards or qualifications that the House of Commons had wanted to add to those proposed by the House of Lords, would have been a magnificent achievement in the final stages of this Parliament. It would have reminded citizens that Parliamentarians on all sides are committed to doing everything possible to improve the health services, to encourage responsible innovation, to use shared anonymised health data to accelerate medical progress, and to protect patients and doctors. That opportunity has been missed so that the Liberal Democrats could demonstrate their political power within Government: voters will not forget or forgive that lightly. 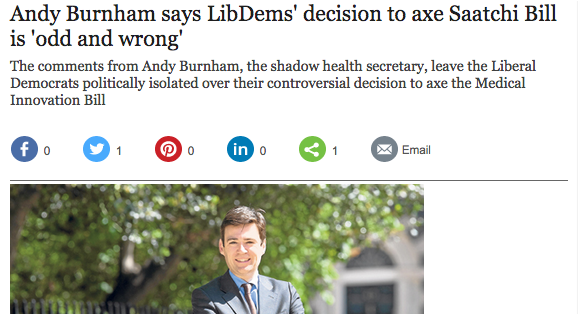 Tthe Labour Party’s shadow Health Minister, Andy Burnham MP and Margaret Hodge MP (Labour) came out in favour of the Bill, further isolating the Lib Dems. The Prime Minister’s official spokesman said: “The Prime Minister has expressed his support for this – there were changes that were made during its passage through the Lords with regard to safeguards. So it has government and opposition support in the Commons. And supporters angered by the Lib Dems – and even some open-minded opponents who support and trust the democratic process – have spoken in number in favour of a debate on the Bill. At best we are right back at the beginning. 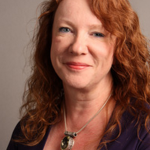 It has taken more than two years to get to this stage – after a long public consultation, four debates in the House of Lords and a review undertaken by NHS chief Sir Bruce Keogh. As you would expect we are doing our best to see if there is anything else we can do but unfortunately it does not look at all hopeful. As things stand, it is a matter for supporters to tell us what they want and to tell their MPs too. Chas Bountra is a visionary. A human dynamo who seems to generate his own energy, who doesn’t know the meaning of ‘impossible’. More formally, he is professor of translational medicine and head of the Structural Genomics Consortium at Oxford University. Like many scientists working to develop new molecular entities – drugs to you and me – he realises the system is broken littered with barriers and blocks. 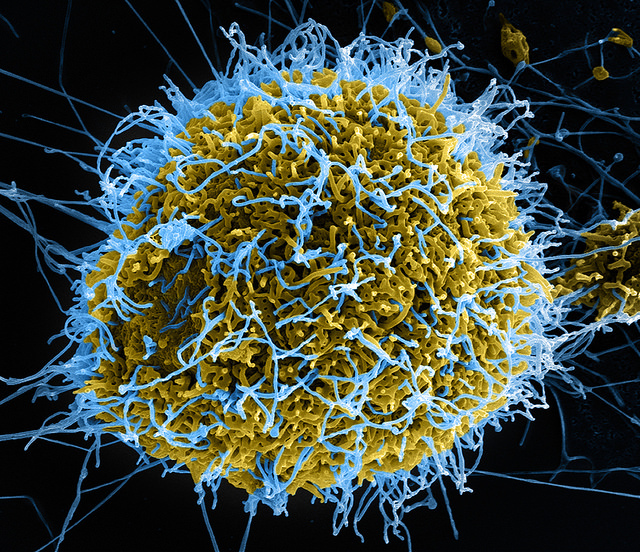 It takes too long and is too expensive to develop new drugs for killer diseases. He has said: “The cost of developing new drugs is spiralling. Analysis by Forbes [in 2012] showed that it cost as much as $12 billion to produce one new successful drug. “Most of the cost pays for failed projects that never see the light of day. From 1996 to 2009, research costs have almost tripled, while the number of drugs approved for use has more than halved. “Drug companies do similar research in parallel and in secret, and usually do not share their failures – and 90 per cent of potential therapeutic compounds fail. And like Lord Saatchi, he knows there is not one single answer to the problem. His focus is on encouraging big pharma to share the results of their research so that both development time and costs decrease. Like Lord Saatchi, he is pushing for greater innovation and recognises that the Medical Innovation Bill can play a part in speeding up the drugs discovery pipeline. No one on the Bill team says innovation doesn’t happen now. It does. But, that is not an argument against more innovation. As long as there are incurable diseases we must dedicate ourselves to greater, effective, innovation. Prof Chas Bountra has been in the news this week (16th Feb 2015) as part of a group scientists pooling their resources to work together on a treatment for dementia. We visited him at Oxford University last year. In this video he talks about his support for the Medical Innovation Bill, highlights a few of the challenges within the industry and talks about the innovative work of the Structural Genomics Consortium at Oxford University. The Medical Innovation Bill encourages doctors to take responsible risks, if this is what a fully-informed patient wants. Ensuring appropriate safeguards is, of course, vital. The Bill should be seen as part of a wider picture. Palliation apart, the aim of medicine is to give those suffering from serious conditions the best chance of getting better. A statement of the obvious, perhaps, but in my experience it does not always happen. My son Daniel, then aged 17, was diagnosed with a life-decimating bone cancer, Ewing’s sarcoma, in 2006. He had the standard treatment and was well looked after. He got into remission and on with his life. But prognosis was dismal. So, naturally, we scoured the world for possible solutions. I found out about insulin growth factor inhibitors. There was a good deal of excitement about them in the Ewing’s world at the time. Unusually for cancer treatment, there seemed to be few side-effects. There were a number of clinical trials. A principal criterion for Roche’s was that a patient must have disease measurable by scan, standard in oncology so that efficacy can be measured. At that time, Daniel, in remission, had no measurable disease. But a special diagnostic test, RT-PCR, indicated that he still had microscopic cancerous cells, as was expected. Now was the time to hit those cells, when they were at their weakest and had not mutated. We needed Roche to accept Daniel onto their trial, either by interpreting the criteria flexibly (I’m a lawyer and provided the interpretive ammunition) or by extending them to include RT-PCR–positive patients. If the inhibitor killed Daniel’s microscopic cells, Roche could chalk up a response. The company blanked me. Daniel’s doctor, involved with the UK trial, appeared unwilling to advocate for his patient and felt constrained by confidentiality not to release important information, an intolerable situation. I turned to the MHRA, the UK clinical trials regulator. My argument was that, with rare conditions (especially involving children), the MHRA had a duty to ensure not only that trials are safe but that they produce as much useful data as possible. Allowing RT-PCR-positive patients onto the trial would increase the data pool. However, the MHRA responded that, safety apart, trial criteria were for the drug company. I was willing to take the regulator to court. But Daniel then tested negatively in another RT-PCR, in Barcelona. This was great news but it effectively destroyed my legal arguments. We put the inhibitor on the back-burner. Daniel eventually relapsed. After much failed treatment, he had a different IGF inhibitor but, although he showed some response, his cancer was by now far too powerful. He died in October 2011, just short of his 23rd birthday, a classics student at Oxford, full of dreams and promise and surrounded by love. Would earlier access to an inhibitor have helped? It is fair to record that overall they have been a disappointment. But there have been some remarkable results. Sadly, the system was not flexible enough to allow Daniel access at the most opportune time. That might just have cost him his life and much suffering (and the NHS tens of thousands of pounds on wasted treatment). Medical treatment should seek to squeeze every last drop out of current knowledge. There are many aspects to that, not least ensuring that clinical trials are regulated for the benefit of patients, not the convenience of pharmaceutical companies. 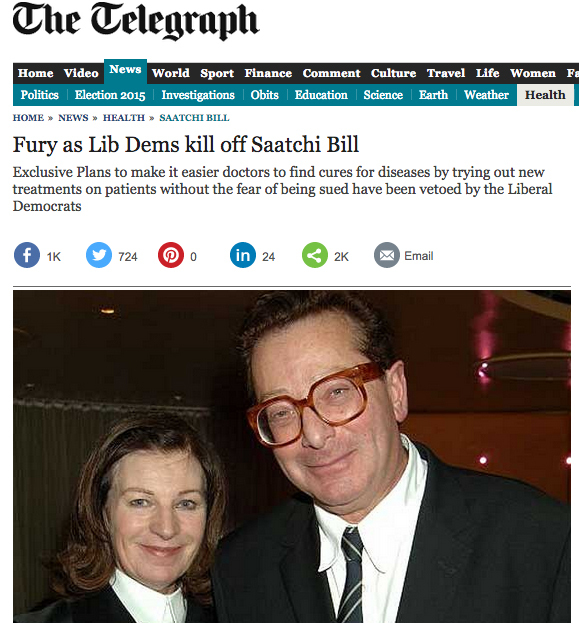 Lord Saatchi’s Bill has the laudable aim of putting the interests of seriously ill patients at the heart of decision-making. Everyone, surely, must support that objective. David Thomas is a consultant to Bindmans LLP and for several years was legal officer to Child Poverty Action Group. He is a former chair of the RSPCA, trustee of Compassion in World Farming and member of the advisory panel for Burma Campaign UK and is currently a trustee of a Casa Alianza UK, a street children charity. He has written extensively about legal and related issues, especially in the campaigning context, and used to teach judicial review and human rights law, primarily in the context of welfare benefits. He is a former member of the Law Society’s mental health and disability committee and of the Legal Services Commission panel advising on the grant of legal aid in public interest cases. He is also a part-time judge. The Sunday Times have today published a letter in support of the Medical Innovation Bill from 100 patients and family who have lost loved ones. The group, which includes Andrew Lloyd Webber, Melvyn Bragg and the publisher Gail Rebuck, widow of the Labour grandee Philip Gould, today issue a powerful plea for dying patients to be given access to experimental drugs and other treatments. The Bill has moved recently into the House of Commons, having been passed unanimously by the House of Lords. Last week senior oncologists wrote to Telegraph this week 100 patients & family write to Times. The letter this week to the Sunday Times follows a supportive letter last week to the Telegraph from senior oncologists, researchers and patient groups. →READ: Letter to the Telegraph from senior oncologists, researchers and patient groups. We are a group united by grief. We are the bereaved – widows, widowers, brothers, sisters and parents who have lost loved ones to incurable diseases. We are the parents fighting for the lives of our children who have cancers and degenerative diseases. We are the patients dying for an answer to our own illnesses. We have never met each other. But we share a bond of pain and fear. And we are united in our support for The Medical Innovation Bill. Not because we believe that it is the silver bullet. Not because we think if it is passed that tomorrow there will suddenly be new cures for cancers, for Duchenne Muscular Dystrophy and other killer diseases. We support the Medical Innovation Bill because it gives us hope – hope that doctors will feel more confident to try novel approaches to killer diseases for which current treatments are known not to work. We support the Medical Innovation Bill because it offers hope to people yet to face what we have faced. We support the Medical Innovation Bill because it will inspire doctors to innovate and to collect and share the results of their innovations so that medical science is advanced. We know it will give doctors confidence and legal clarity to try more and to do more. The patient’s voice has been drowned out. We have been patronised and told we must leave it to the experts. But we have watched – and are watching – our families die. Some of us are watching our own bodies die. Doctors have the medical experience. But we have the human experience. Nobody knows more about these fatal diseases than we do. As the Bill proceeds to The Commons, our voice will be heard. Letter to the editor of the Telegraph from senior oncologists, researchers and patient groups. Letter to the Telegraph published today in support of the Medical Innovation Bill (Saatchi Bill) from senior oncologists, professors across numerous disciplines, cancer and rare disease CEOs, research groups, early access to medicine campaigners and patient advocates. SIR – We note the successful third reading of the proposed Medical Innovation Bill (the Saatchi Bill). While there have been significant advances in cancer treatments in recent decades, there remain areas where there has been no meaningful advance. Diseases such as glioblastoma, sarcoma or pancreatic cancer have seen no clinically relevant improvements over those decades. While clinicians have leeway to prescribe drugs “off-label”, we know from our direct experience with patients that viable clinical options are not being used in the vast majority of “terminal” cases. When all standard therapies have failed, and there are no clinical trials available, the response is almost uniformly to move that patient into palliative care. We do not dispute that the clinical trial is necessary in order to identify those advances that work and those that do not. However, the evidence base for medicine can come from many different sources. Data collection is a necessary corollary of increased off-label usage and the new registry included in the Bill will record information (including side-effects and outcome data) in every instance of an innovative treatment. This ground-breaking registry will enable us to analyse real-world data, thereby providing greater patient protection than exists at present. Ultimately the question that must be addressed is: what can we responsibly offer to those patients for whom there are no suitable clinical trials?